Earlier diagnosis of childhood autism may now be possible using 3D facial imaging. A new method developed by researchers from the University of Missouri uses software algorithms to find trends in the facial features of autistic patients. They discovered that certain features seem to be characteristic of autism, which may allow for more effective treatments to begin earlier. Identifying autism is a challenging diagnostic endeavor, especially since some symptoms are not readily apparent. Several closely related disorders can be associated with autism, which may manifest as delays in learning to communicate and a decreased ability to socially interact. The difficulty of performing an early diagnosis can impact treatments, since many approaches are most effective when started early. 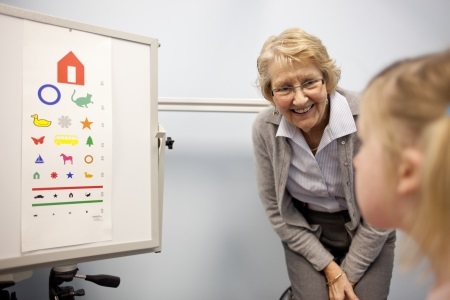 Inspired by clinical observations, researchers at the University of Missouri (MU) took steps to study facial features that appeared to be common in many autistic patients, according to a recent article from the University of Missouri News Bureau. To test the theory, the research team studied 62 prepubertal male patients that had been diagnosed with essential autism, according to a recent study published by the team in the Journal of Autism and Developmental Disorders. The facial landmarks of the boys were studied using 3D stereo-photogrammetric images and characterized using a statistical approach. The images were then correlated with clinical evaluations for the symptoms of autism in addition to neurological and cognitive differences. Overall, the technique was shown to have a strong potential for measuring autism using facial pattern recognition. Once the analysis was performed, a few findings were most notable, according to the study. Specifically, some of the most severe cases of autism were closely correlated with facial recognition patterns. The study also verified the usefulness of facially based Autism Spectrum Disorders subtypes. Using facial recognition algorithms to predict or diagnose diseases has been examined for use in other areas as well. Recently, the approach was discussed for the detection of genetic diseases.